Real-Time Data . . . to Knowledge . 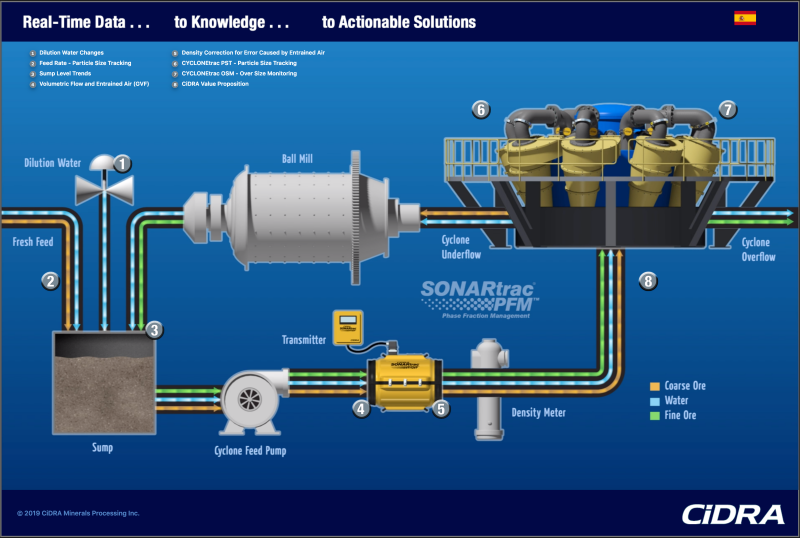 . .
SONARtrac Multi-Measurement Technology • More Than Just Flow! Combining the power of the SONARtrac VF/GVF dual measurement system with PFM and CiDRA’s CYCLONEtrac Particle Size Tracking System (PST), which provides real-time particle size measurement of each cyclone, there is finally an integration of technologies that truly enables the transformation of data, to knowledge, to action, thereby providing the ability to optimize recovery, throughput and net metal production.